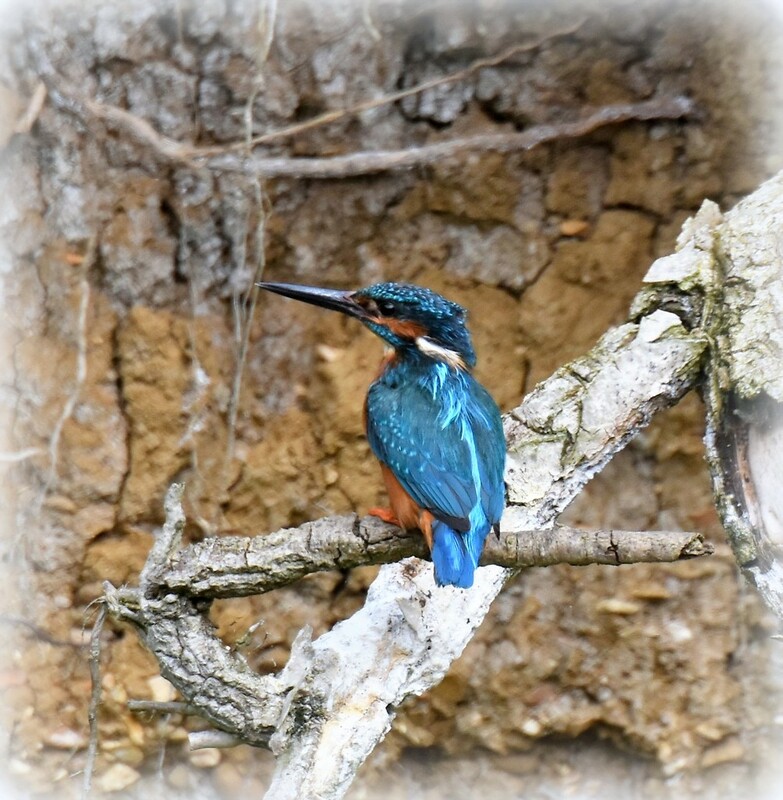 It's the flash of blue that makes him so beautiful as he flies very fast along the brook. It's amazing how fast they can be and you never really see their wings move! Being able to sit on the opposite bank where the bee keeper has his hives is definitely a better place to see him. Also he is used to movement from that side as the beekeeper who I now know is Robin (how appropriate is that!) is often about. Fabulous shot Rosie, beautiful colours and lovely pose. A great example of this beautiful bird - lucky you to see these! One of your best captures!! How lucky you can sit on the other side of the brook - a much better view!! super shot Rosie, what brilliant colours. Did you know a back shot can identify the Kingfisher. Bit like a finger print. @padlock No I didn't know. What made you ask about my other shot being the same one? Great catch of a beautiful bird!